Appearance : Reddish Yellow transparent liquid. 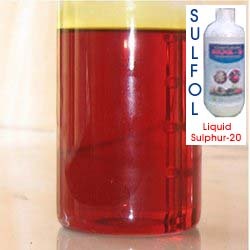 It contains poly sulfides of different molecular weights. Used as a fungicide and foliar spray. Available in 1Ltr bottle and bulk packs.